Conference proceedings of the Media, Investigative Journalism and Technology (MIJT) international conference at AUT University, Auckland, Aotearoa/New Zealand, on 4/5 December 2010. Published by the Pacific Media Centre. All conference abstracts were peer-reviewed for oral delivery; in addition full papers were peer-reviewed where indicated for the conference proceedings. Review panel. Other papers are being peer-refereed for the conference-related May 2011 edition of the Pacific Journalism Review (v17 n1) research journal. In an age which is marked by globalisation and technological advancement, the role of media in portraying and interpreting the conflict is acknowledged to be of great importance, especially in the coverage of political conflicts. And “peace journalism”, as opposed to “war journalism”, is considered by many media experts and scholars as the way to integrate conflict resolution in journalistic training and hence develop a more “socially responsible” journalism. This paper examines the concepts of peace journalism and conflict resolution as “an approach” towards conflict and explores the notions of journalistic practices like objectivity in the media coverage of conflict. The paper also gives an account of several initiatives and makes a case for translating these concepts into tangibles. The second part of this paper, however, deals with the challenges and dangers in practising effective peace journalism. On one hand, the digital revolution has changed the nature of information and communication. It has brought many challenges for the developed world, including the changing global identities, the need to respond to global events quickly and the need for psychological and physical training programmes for journalists. But for developing countries, simple tasks such as having media access to the conflict, providing security to journalists in the field and arranging adequate resources for them are hard to accomplish. Giving examples from Iraq, Pakistan and some other countries, the paper discusses the existing disparity of resources and training in the two parts of the world. It concludes on the importance of community support in making peace journalism effective. Professor Wendy Bacon is director of the Australian Centre for Independent Journalism at the University of Technology, Sydney, and an investigative journalist and non-practising lawyer. She worked at Channel 9 (Sunday programme and Sixty Minutes), John Fairfax and Sons (National Times and Sun Herald) and SBS (Dateline) and won a Walkley Award for feature writing. She has a long history of campaigning around free speech issues. 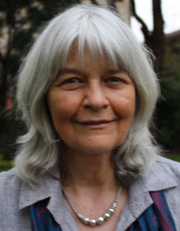 Current research interests at the University of Technology, Sydney, where she is director of the Australian Centre for Independent Journalism, includes the reporting of Asia-Pacific humanitarian and environment issues, finding innovative ways to combine investigative journalism with scholarly research and developing e-learning projects around simulation games and blogs. She is on the advisory board of the Pacific Media Centre, a contributing editor to Pacific Journalism Review and the Sage journal Journalism, Theory, Practice and Criticism. Renee Barnes is a lecturer at RMIT University, Melbourne, Australia. The traditional role of a journalist was to gather information, shape it into a story and then transmit it as accurately and quickly as possible to an audience via a mass medium. Today, as the mass media is declining in influence, the digital media is providing infinite opportunities for non-journalists to break news. Journalism education, like the media industry, is struggling to adapt to these structural changes, relying increasingly on expanding technology training. This paper will argue that what is needed is a realignment of journalism education from technology training to online social training. Within an online social training model, it will be argued that the skill of using social networking sites like Twitter to build and engage readership is as important as the traditional news gathering skills. Young journalists will need to understand the nuances, social protocols and ethical implications of these social networking sites to develop networks and broaden the reach of their stories. Traditionally journalism education has focused on technology training that enable the journalist to develop a story that can be delivered in the lecture format, defined as published or broadcast without interaction with the audience. It will be argued that if journalism in the online medium is to be refocused from a lecture to a conversation, then the skill of engaging the public through networking tools will be a primary one for journalists. This concept can be further developed through the discourse of journalist as ‘brand’. Developing an honest and authentic ‘brand’ using social networking tools is increasingly important for journalists struggling to be heard in the white noise of information online. This branding takes on added significance when we consider that we are producing far more journalism students than ever before, while traditional journalism jobs are shrinking. Online social training, it will be argued, gives journalism students the skills to develop profile and even publish and be heard without affiliation with a mainstream media organisation. Further, traditional journalism defines fact as information from official sources. But this model of news is in flux as new social media technologies facilitate the instant, dissemination of fragments of information from a variety of official and unofficial sources. Within this context, an understanding and an ability to help the public negotiate the flow of this information and facilitate the collection and transmission of news is vital for journalists of the future. Bill Birnbauer is an investigative journalist and a senior lecturer in the School of Journalism and Australian Studies at Monash University, Melbourne. In March 2009, the minnow-sized Voiceofsandiego.org found itself among the big hitters of American investigative journalism. The non-profit organisation established in 2005 with an editorial staff of 11 young reporters won the country’s most prestigious award for internet-based investigative journalism. The Voiceofsandiego.org’s reporters had exposed corrupt relationships between two government agencies and developers involving lucrative contracts and a clandestine bonus system. The revelations resulted in the agencies’ leaders being replaced, criminal investigations and reforms. The award was presented by Investigative Reporters and Editors Inc. which in 1975 was one of the first non-profit investigative journalism organisations established in the United States and whose goal is to improve the standard of investigative reporting. In April 2010, the Pulitzer Prize for investigative reporting was awarded to both The Philadelphia Daily News and to ProPublica’s Sheri Fink for a 13,000-word narrative reconstruction of the horrific choices facing medical staff at Memorial Hospital, New Orleans, in the wake of the devastating Hurricane Katrina in 2005. Fink’s two-year investigation, also published in The New York Times Magazine, showed that health professionals deliberately injected several patients with lethal drugs. What ProPublica, Voiceofsandiego.org and about 60 other US-based investigative reporting centres have in common is that they are supported by wealthy philanthropic foundations and contributions from “mum and dad’’ Americans who might donate as little as $US35. Non-profit investigative reporting centres also have been established in more than 43 countries as diverse as Brazil, Armenia, Romania, Africa, Chile, England, Canada, Colombia, Nigeria and Serbia. With traditional newsroom resources thinning due to budget and staffing constraints, two ideas are proposed to bolster the amount of in-depth reporting in Australia and New Zealand. Journalists and journalism educators should lobby politicians, especially the Australian independents and Greens, to press for tax deductibility for donations to investigative reporting centres and funds. Secondly, university journalism schools might establish and fund a centre that produces investigative journalism using supervised students across multiple campuses working on collaborative projects. Dr Paul G. Buchanan is the principal of Buchanan Strategic Advisors, Ltd., a New Zealand-based political risk consultancy. The paper traces the origins and rationale behind the practice of “embedded” journalism. It argues that the practice emerged as a post-Vietnam response by the US military to the “problem” of independent news coverage of conflicts in which the US was involved. For the State, the problem of independent news coverage is that it often contradicts the official war narrative and if left unhindered undermines public confidence in and support for the war effort. Since home country public support is deemed crucial for success in any foreign war, particularly during lengthy engagements, independent news coverage is seen as a threat to the unity of the home front and therefore a threat to the war effort itself. The response, first elaborated during the Reagan administration and honed and perfected in subsequent decades of fighting by subsequent Democratic and Republican administrations, is to facilitate favourable news coverage via the practice of “embedded” journalism. “Embedded” journalists are those that are vetted and selected based upon their propensity to support “the troops,” who they consequently become dependent on for their care and welfare while in combat zones. Current news industry practices, of which the military is acutely aware, facilitate the use of controlled news sourcing by focusing on the “embedded” reporter’s story and those of the troops in which the reporter is “embedded” rather than the military context in which they operate. The terms and conditions to which the “embedded” reporters agree preclude critical scrutiny of potentially negative aspects of the combat experience on innocents and ensure that the journalistic narrative conforms to the military’s preferred interpretation of events. Withdrawal of security guarantees for independent journalists and termination without warning of “embedded” status for reporters who violate the terms and conditions of the facilitated news contract provide strong physical disincentives to engage in non-sanctioned and uncontrolled reporting in combat zones. Even a contrary incident such as an embedded reporter’s or accompanying troop’s death or injury suits the military narrative as to the unsavoury character of the adversary and the risks to the soldiers involved in bringing freedom to oppressed people against their will is highlighted for the home audience. Sympathetic and de-contextualised coverage of contrary events serve to make real the immediate costs to the “good” team and re-emphasises the need for public support for their sacrifice in what otherwise is otherwise seen as a distant and seemingly inconsequential, meaningless or futile conflict (since in no modern conflict involving the US and New Zealand are core national state values at stake). The beauty of the facilitated news strategem is in the synergies produced by the overlapping interests of security forces and news outlets: each gets to convey its own particular message of legitimate effort and real-time involvement in mutually reinforcing fashion without delving into the circumstances and ethics involved in the larger context into which journalists are “embedded.” In doing so the war narrative is controlled, contrived, manipulated and sanitised in the interests of corporate and governmental elites far removed from the conflicts in which the “reporting” occurs. Donor-funded grants and centres for public interest journalism are increasingly seen as vital responses to the shrinking economic base of traditional mass media and the now-dominant commercial values of most remaining media outlets. 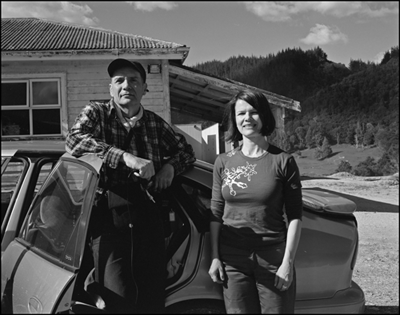 A small and lonely New Zealand example is the Bruce Jesson Foundation’s $3000 annual award for “critical, informed, analytical or creative journalism or writing which will contribute to public debate in New Zealand on an important issue or issues”. Unlike other journalism awards, the Jesson grant is paid in advance of publication to fund research costs, including the time that may have to be taken off paid work. Since its inception in 2003 it has funded important work on NZ foreign policy, economic and welfare policies, transport issues and NZ’s involvement in Iraq. However it has struggled to get publicity and to attract more than a handful of applications. The Jesson trust is committed to its continuation, although possibly in a changed form in the future. The key to its success will be to find ways to reach a wider audience of potential applicants. Dr Kayt Davies is a lecturer in journalism at Edith Cowan University, Perth, WA, Australia. Part one: With concern mounting about future sources of investigative journalism, the latent potential of the expert journalists teaching and conducting research within universities is worth considering. This thought has given rise to the establishment of a new peer-reviewed journal called Research Journalism, dedicated to publishing best-practice journalism. This presentation will cover the history of journalism as a research methodology. While journalism has, in recent years, been considered to be fundamentally unlike other university research, the usefulness of this disconnect is now waning and the ERA process in Australia is drawing it out of the shadows. Part Two: Peer-reviewed academic journalism is like existing forms of high quality journalism, but a little different. It is a hybrid creature with some features borrowed from academic writing, while still, at its core, being hard headed, and fourth estate oriented. This part of the presentation will focus on how it is written, how is it referenced, how it differs from other forms of journalism and the benefits of having work published as academic journalism over simply being published or broadcast in mainstream media. Part Three: Participants will be asked to consider journalism projects/stories that they are, or have recently worked on, or that they are considering tackling. We will then talk through how those articles could be written and published as academic papers. This section can include discussion about timing concerns, ethics committees, referencing, dealing with sources, exegesis writing, documentation of processes, peer review and anything else that they raise as concerns or questions. 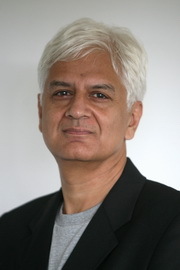 Kunda Dixit is editor and publisher of the Nepali Times and author of Dateline.Earth: Journalism.as.if.the.planet.mattered and the A People War trilogy. He previously served as the Regional Asia-Pacific director of the Inter Press Service. He earlier worked as news reporter for the BBC in New York, and also reported in the Pacific. Kunda returned to Nepal in 1996 to set up Panos South Asia, where he was director from 1997 to 2000. He is currently editor of the Nepali Times and publisher of the Himal Media Group. He also sits on the board of Panos South Asia. A tribute to Dixit's work can be found here. Kunda visited New Zealand as the Pacific Media Centre's 2010 Asian Journalism Fellow, sponsored by the Asian New Zealand Foundation. Barbara Dreaver is Television New Zealand’s Pacific affairs correspondent and has broken many stories in the region, including New Zealand businessman Mark Lyon's activities in the Cook Islands and the discovery of live chemical weapons lying at the side of the road in the Solomon Islands. As well as international stories Barbara has also concentrated on investigating issues facing Pacific Islanders living in New Zealand. She has exposed a scam targeting Pacific Islands pensioners and other concerns facing the community. Barbara says she is passionate about her job because of her cultural heritage. She was born and brought up in her mother's home country of Kiribati and also spent eight years working in the Cook Islands. "Pacific issues are barely covered in New Zealand's mainstream media,” she says. 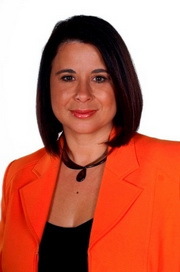 After graduating from Auckland University with a BA, Barbara began her career in journalism in 1990 as a reporter with the Rarotonga-based Cook Islands News. From there she co-owned and edited a weekly newspaper, Cook Islands Press, that won a Pacific Freedom of the Press award. She also worked for international news organisations such as AFP and Radio New Zealand International. Melissa Gould is a postgraduate student in the School of Communication Studies, AUT University. This paper will demonstrate how a critical-interpretative approach to television promotional messages can provide insight into the place of religion in society. The media, in particular television, are said to be socially central because of their influence on social issues and attitudes and in fact, no evaluation of a given society can be adequately executed without accounting for the reflexive relationship between a given society and its media (Berger, 2007; Farnsworth & Hutchinson, 2000; Maguire and Weatherby, 1998; Fiske, 1990; Muggeridge, 1977). Television commercials can be an indicator of the dominant influences in society because their primary goal is to create desire in their audience by drawing on appealing concepts that will convert the largest possible proportion of the audience into consumers. The paper will therefore demonstrate how a quantitative content analysis that deconstructs the inclusion of religious iconography in promotional messages for non-religious companies can offer insights into the place of religion within New Zealand society. The content analysis will explore the use of religion as a promotional tool in advertisements and channel promotions that were broadcast during 90 hours of prime-time programming across five free-to-air channels. The paper will conclude that, in using religious cultural markers to promote non-religious companies, advertisers can use religion as a reason to consume, as a ‘player’ in the making of a product and as a calendar marker. Specifically, it will show that the secular popular culture in which these advertisements draw on religious references acts as a mirror and a window to the blurring of 'the sacred' and 'the secular' cultural realms in New Zealand. 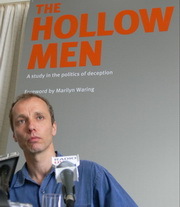 Nicky Hager is an independent New Zealand author and investigative journalist based in Wellington. He has written four best-selling books, lectures regularly on investigative techniques and is the New Zealand representative of the Washington-based Consortium of Investigative Journalists.His first book was Secret Power - New Zealand's Role in the International Spy Network (1996). He was one of the earliest journalists to write about the secretive ECHELON worldwide electronic spy network. As a result of this book, in 2001 he testified before the European Parliament on his research into the network. Hager is also the author of Secrets and Lies: The Anatomy of an Anti-Environmental PR Campaign (co-authored with Australian journalist Bob Burton, 1999) and Seeds of Distrust: The Story of a GE Cover-up (2000) and The Hollow Men: A Study in the Politics of Deception (2006). On Monday evening, May 11, 1987, ABC TV’s Four Corners broadcast Chris Masters’ blockbuster investigation into official and police corruption in Queensland, The Moonlight State. Soon thereafter, the Queensland government was forced to set up a Royal Commission of Inquiry headed by Tony Fitzgerald, QC. For the Queensland, and national media, reporting on the Inquiry and its proceedings was an exhausting, exhilarating, and highly complex exercise lasting almost two years. In the vast amount of daily reportage on that enormously significant Royal Commission between July 27, 1987, and the release of the Fitzgerald Report on 3July 1989, and in the even larger amount of analysis and commentary on the Fitzgerald reforms and their impacts on Queensland governance, one significant aspect of the story has never been told. During the Royal Commission’s hearings in 1988, the then Queensland edition of ABC TV’s long running weeknight current affairs program, The 7.30 Report, reported on the proceedings using daily re‐enactments of evidence and cross examination. This sustained, genuinely dramatic, often truly sensational, reportage of equally dramatic and sensational disclosures at the Royal Commission was and remains a landmark in Australian journalism. Drawing on firsthand experience, extensive interviews with key participants, ABC TV archives, Fitzgerald Inquiry evidence and transcripts, and news reportage, this paper finally tells as complete a story as possible of how and why the re‐enactments were done, and examines their impacts on the Royal Commission and its historic revelations. James Hollings is a lecturer in journalism at the Massey University School of Journalism, Wellington. Investigative journalism is often said to be based on two pillars of information gathering – documents and sources. 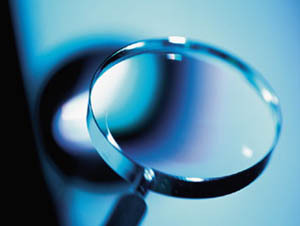 Yet while document retrieval and analysis has received much attention in recent years, particularly with the advent of computer-assisted reporting and Freedom of Information legislation, remarkably little attention has been given in the journalistic literature to best practice for developing and maintaining sources, especially vulnerable sources with high-risk information. This study analyses four high-profile examples of New Zealand investigative journalism based on revelation by vulnerable and reluctant sources. Using interviews with both the sources and the journalists who persuaded them to speak out, it draws on persuasion and social psychology theory to explain the decision-making process of the whistleblowers and establish a model of best practice for journalists wishing to persuade reluctant, vulnerable people to speak out safely and effectively. Louise James is from the International Baby Food Action Network (IBFAN) Oceania, Auckland. In 1981 the World Health Assembly (WHA) endorsed the International Code of Marketing of Breastmilk Substitutes (the Code) and over the years has strengthened it with a number of resolutions. This year the WHA endorsed a resolution that urged Member States to develop and/or strengthen legislative, regulatory and/or other effective measures to control the marketing of breastmilk substitutes. Within the Code is an article that requires the industry to adhere to it regardless of country’s legislation and policies, as often the most vulnerable are living in those countries where governments have not put anything into law or have problems monitoring. The Infant Feeding Association of New Zealand (IFANZ), affiliated to IBFAN, holds the Oceania office and is funded by the Norwegian Agency for Development Cooperation (NORAD) to further the global Breastfeeding Initiative for Child Survival (gBICS). The gBICS is a worldwide civil society-driven initiative aiming to accelerate progress in attaining the health-related Millennium Development Goals (MDGs) by 2015, especially Goals 4, reduction of Child mortality, and 5, reduction of maternal mortality, by scaling up 6 months exclusive and continued breastfeeding. One of the ways we are working to improve breastfeeding is by ensuring the baby food industry is adhering to the International Code and thereby not undermining breastfeeding. We undertook a monitoring exercise in the Oceania region this year to see what the baby food industry was doing and to find out what legislation or policies governments had in place in the various countries. Using our IBFAN contacts throughout the region we contacted them asking them to send us any violations they had found in the media, health services and retail outlets in their countries. The Code restricts the marketing practices of infant formula, baby food labelled for use for infants under six months and bottles and teats, yet we found evidence of all of these products being marketed in Oceania. This presention provides an overview of the Code, what legislation and/or policies are in place in the various Pacific nations and what the baby food industry is getting up to. Dr Rosser Johnson is head of postgraduate programmes in the School of Communication Studies, AUT University, Auckland. Although the extraordinary level of commercial speech in New Zealand media is relatively commonly acknowledged (see, for instance, Bell 1995, Campbell 2000, Farnsworth 1998, Hope 1996, Horrocks 2004, Lealand 2002, Thompson 2003), there is very little academic work that focuses on this commercial speech in its own right. Particularly emblematic case studies, like Xenical (Johnson & Hope 2001), peculiarly successful forms of advertising, like the infomercial (Johnson & Hope 2004, Johnson 2007), or persistent trends in policy, like the lack of maximum limits of advertisements per hour (Johnson 2005), allow for a wider, more critical perspective. To date, however, there has been little, if any, research into the lived experience as people they negotiate this commercialised media culture. This paper aims to investigate one aspect of that experience by focussing on the Junior Franklin County News, an annual insert into a community newspaper. The paper will argue that the insert, by being produced by primary school students, offers a real insight into their conception of “advertising”, “newspapers” and their inter-relationship. It will show that the commercial media’s contemporary “advertorial” focus can deployed by children through relatively sophisticated techniques and will conclude by arguing for more clarity and precision when teaching children about the “doing” of media. Dr Janine Little is senior lecturer in journalism in the School of Communication and Creative Arts at Deakin University, Geelong, Vic., Australia. This paper compares two works of book-length journalism on criminal trials in Australia in order to make some observations about the role of creative non-fiction in countering what George Orwell called ‘the ephemeral’ nature of journalism. Helen Garner’s Joe Cinque’s Consolation (2004) and Honeymoon Dive (2010) by Lindsay Simpson and Jennifer Cooke are read as part of the trend of writing long creative non-fiction about criminal cases, which was pioneered in the US by Truman Capote. The expanded court-based writing portrays “real people” in the fullness of their experience of often horrific events, so that hard news reports grow into investigative works of social and personal complexity. In Australia, Garner and Simpson and Cooke’s longer studies followed news reports of the trials of those charged with the manslaughter of Australian university student Joe Cinque and, a decade later on her honeymoon in Far North Queensland, American bride Tina Watson. This paper argues for the importance of such follow-up creative non-fiction in fostering journalism’s investigative project. Selwyn Manning is co-editor of Scoop Media and a masters in communication studies student at AUT University, Auckland. This presentation will display how documentary can be used as a vehicle to convey a version of contemporary reality. It will explore how the various modes of documentary each have their strengths and weaknesses, and how they can be used and blended to create dynamic theatre even while holding to the discipline of representing a reality. The presentation will also demonstrate how today, relatively low-cost technology can produce feature length, film-styled, documentaries. Two documentaries that have yet to be released will be promoted: Morality of Argument – sustaining a state of being nuclear free, and In the Nation's Interest – juxtaposing the frailties of intelligence and tradecraft. Jim Marbrook is a television lecturer and filmmaker, AUT University, Auckland. This project was assisted by Pacific Media Centre and Creative New Zealand grants. In 2008, I started shooting the documentary Cap Bocage, tracking the conflict surrounding the clean-up of a mining landslide disaster at the SMCB’s nickel mine near Houailou, in New Caledonia. This conflict was characterised by a strike, blockades and, most importantly, a protracted legal battle which saw local environmental group, Mèè Rhaari, struggle to legitimise its position as plaintiff in the legal case against La Société des Mines. 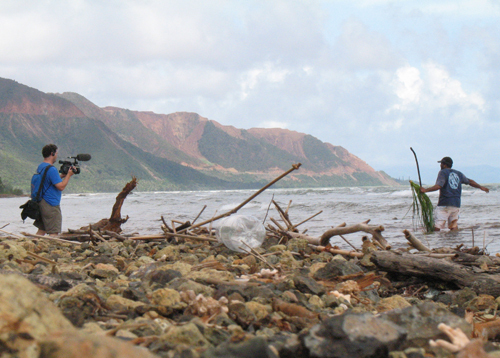 At stake for many members of the tribe of Ba/Kaora was a coastline and reef that has deep, underlying cultural significance for its clan owners. For the wider group of clans that form the tribe, this landslide zone is also a prized food-gathering area. Running parallel to this legal struggle was another key issue: who actually had the moral right to exploit this nickel in the first place? And where was the document that gave the SMCB initial consent to mine? As Horowitz maintains in her study of Goro in the south of this territory, “environmental violence is not driven simply by resource abundance or scarcity…it mark[s] a crisis of political legitimacy, grounded in a history of opposition to the colonial power” (Horowitz, 2009). Analysing several brief excerpts from Cap Bocage – a work in progress – I will look more closely at the local structures that fuel and inform debate in this case. As France prepares this territory for decolonisation and begins transferring powers and compétances, the case at Cap Bocage provides a clue as to how more traditional French administrative structures may have to be adapted to deal with the new and militant political landscape of independence. Patrick Matbob is a lecturer in journalism in the Communication Arts Department, Divine Word University, PNG. Journalists in PNG have done investigative journalism as much as time and resources have allowed them to. Media organisations generally cannot afford to employ full time investigative journalists or to release their top reporters from their daily news rounds to investigate stories full time. In fact, the PNG mainstream media have always been chronically understaffed and reporters have been too busy providing daily news coverage. This paper looks at some of the main issues affecting investigative journalism in PNG today. These include the growing incapacity of the state agencies to follow up and take action after the media have revealed some illegal activity or wrong doing. Consequently, the state’s incapacity also affects the media as they cannot easily obtain information and data they need when investigating stories. Weak state agencies also mean that the safety and well being of journalists; media organisations and whistleblowers are not guaranteed when they are speaking out. However, with the advancement of the new media in PNG, citizen journalism is seen to be growing amongst internet users who are mostly young, well educated and concerned about the future of their country. The new media’s ability to disseminate information instantaneously is having some impact on public opinion and causing PNG leaders to be wary of their behaviour and actions. John Miller is one of New Zealand’s leading photojournalists and has over the years gained an impressive reputation as a chronicler of social and political dissent and national socio-cultural issues. He was a 2003 recipient of a NZ Media Peace Award. Dr Geraldene Peters, a senior lecturer in communication studies with AUT University’s School of Communication Studies, has collaborated with John on this project. The project was also assisted by a Pacific Media Centre grant. In this presentation, documentary photographer John Miller (Ngapuhi) will speak to the prototype version of an interactive audio-visual report or timeline on display in the conference centre atrium. Focusing on disputes around the development of the 5000-plus ha Ngatihine forestry block in mid-Northland, the report represents a case study of how land alienation issues were represented in the media during the 1970s. In a nutshell, the Ngatihine dispute typified a confrontation between the prevailing Pakeha ethos of the time that unused Māori lands should be developed as efficiently as possible, and the countervailing belief of Tangata Whenua that they should determine the use put to the land without government or corporate coercion. The audiovisual report is from the eyes of a participant and an observer, documenting Miller’s work as a photographer and land rights activist. His photographs are contextualised with material from an extensive collection of Maori Land Court documents, minutes of meetings, press releases, newspaper clippings and telephone call logs (1977-82). Miller’s phone logs represent the effort it took to pitch this issue to various sectors of the media. Media response is of particular interest as it involved an issue peripheral to the concerns of mainstream media in New Zealand during that time. It can be argued that those land alienation issues in the 1970s that received considerable mainstream coverage (Māori Land March, Takaparawhau/Bastion Point and the Raglan Golf Course dispute) did so because of their spectacular charge, whereas the smaller issues were largely left to community and alternative media outlets. In the mid-1970s there were no dedicated Māori news outlets as there are today - a situation that exemplifies Arlene Morgan’s “blind spot” phenomenon in minority issues reporting. (Pacific Journalism Review, 2009, 15(1): 93-113). Stephen Olsen has been working in the NGO sector and is currently a strategic adviser to Community Housing Aotearoa. Faint signs of journalism are subsumed in the world of NGOs under the rubric of 'communications'. In this presentation a snapshot and helicopter view will be presented of the state of 'community journalism' as practised across a cross-section of NGOs in New Zealand, primarily Wellington based though not exclusively and primarily in the social services - including the NZ Federation of Voluntary Welfare Organisations, NZ Council of Social Services, NZ Council of Christian Social Services, Aotearoa NZ Association of Social Workers, Healthcare Aotearoa and Community Housing Aotearoa.The snapshot will include a critique of an NGO grouping called ComVoices that ostensibly provides a means for a grouping of NGOs to enter into the 'media fray' by way of joint media releases and common positions. This is a grouping that is, to all intents and purposes, controlled by a private sector public relations company - which begs the question: At what point are autonomous journalism skills being developed within, for and by full-time members of the NGO community in New Zealand? The presentation will also incorporate commentary on the social justice imperative of these NGOs and using examples of either specific public campaigns that have been entered into in recent years or the interface with both media and government processes explore "the wall" that NGOs hit when pushing for quality reportage as a precursor to or element of policy change. Professor Mark Pearson, head of journalism, Bond University, Gold Coast, Qld, Australia. This paper surveys the array of publication restrictions on the reporting of mental health tribunal proceedings and, by implication, crimes committed by mental health patients across the 10 Australian and New Zealand jurisdictions. It assesses the delicate balance between the privacy of the patient and the right of the public to be informed about serious crimes and considers the difficulties of navigating the non-publication and confidentiality elements of mental health, prisons and freedom of information laws. It examines some of the key policy considerations and the implications for reporters conducting investigative research in the field. Seed funding for the project has been provided by the Mindframe National Media Initiative in Australia. Media as a message carrier is observed as a part of journalistic activity which includes Investigative Journalism as an accepted chore. The calibre of investigative journalism in India is brought out in the paper. The impact of technology on the media practices, including the changing design of print and the new wave in radio broadcasting are recognised. Television and its proliferation due to technological ramifications are explained. The paper probes the ethics of investigative journalism, the good and the bad, the legal position on “stings” in India, the pressures on investigative reporting, the success stories amid controversies are brought out in the study. The advanced electronic way of investigative reporting in the pretext of cleansing the society is viewed critically. The new dimensions of citizen journalism and its contribution are also discussed. The ethics in the emerging trends of the new genres of TV production are questioned. Finally the relevance of investigative journalism to social responsibility is examined to draw inferences and conclusion. Dr David Robie is director of the Pacific Media Centre, AUT University. This is an adaptation of a paper presented on environmental journalism at the recent Oceans, Islands and Skies: Oceania Conference on Creativity and Climate Change at the University of the South Pacific in Fiji. This paper is being published as part of the Oceans, Islands and Skies proceedings. The fate of 2700 islanders from the Carteret Islands off the north-eastern coast of Bougainville has become an icon for the future of many communities on low-lying small states globally and especially in the Pacific – the so-called ‘climate change refugees’ or ‘environmental migrants’. They are a controversial casualty of the failure of developed nations to deal decisively with the global warming crisis. Iconic images of islanders leaving their ancestral homeland and relocating also resonates with earlier environmental parallels in the Pacific such as the evacuation of Rongelapese and other Marshall islanders in the wake of nuclear testing and the forced shift of Banaban islanders to Rabi in the Fiji Islands because of phosphate mining. Despite an inspired and colourful campaign by Pacific Island delegates at the United Nations Climate Change Conference in Copenhagen in December 2009, global geopolitics stifled the outcome to the disadvantage of Oceania. This paper examines investigative and communication strategies in reporting climate change in both mainstream and alternative public spheres. Thakur Ranjit Singh is a former publisher of the Fiji Sun, political columnist and Master of Communication Studies student at AUT University, Auckland. Since attaining independence from Great Britain in 1970, Fiji enjoyed a period of “multiracial peace” for 17 years under Ratu Sir Kamisese Mara and this gave this country the utopian slogan: “Fiji-the way the world should be.” But was this really so? Beneath the notion of peace, democracy and racial unity was a racial volcano that erupted when democracy took another turn. Subsequent to the loss of the chiefly-led Alliance party in the 1987 election, a third-ranking military officer, Sitiveni Rabuka staged a coup to topple a Fijian-led but Indian-dominated government. He later handed the controls back to the indigenous Fijians. Since then, Fiji has never really tasted any long lasting political peace and stability. Despite two constitutions and some five elections since the first coup, the Western concept of stable democracy has eluded Fiji. It had some four coups since 1987 and this notoriety relegated it to a rogue state status, cursed with a “coup culture” or as some academics and journalists have described it as “coup coup land”. This paper weaves through some pertinent issues relating to the prevalence of a coup culture in Fiji, and views them through an investigative journalism perspective. It argues for a greater degree of investigative journalism and better journalism training in Fiji as a contribution to a more stable democracy. Shailendra Singh is divisional head of journalism at the University of the South Pacific. Fiji does not have a strong history or culture of investigative journalism, although there are some fine examples of undercover work, exposés and in-depth research carried out by Fijian journalists to bring to light some major scandals involving the rich and powerful. Given the high level of public and private sector corruption in Fiji, and its negative impact on development, there is a need for more investigative journalism in the country. But a lack of training, depth and experience in newsrooms and a shortage of journalistic expertise specialist fields are a hindrance. Furthermore, most media companies prefer the economical option of running cheaply produced and packaged news pieces rather divert precious resources towards chasing investigative stories that might not yield any results. Another setback is that the Bainimarama government, which seized power in a coup in 2006, recently decreed punitive media laws that may also discourage investigative journalism. In the face of these challenges there are some opportunities. New media technology can be used to overcome censorship barriers. While journalists in Fiji lack specialist qualifications in finance, economics and business, they can work collaboratively with civil society organisations and professional bodies and use the expertise available in these organisations. Such pooling of expertise can help overcome to skills shortages in the news media. Furthermore, case studies of investigative journalism in Fiji show that proper support, mentoring and and guidance from senior newsroom leaders, as well as journalistic zeal, can make up for lack of training and experience. Jon Stephenson is an Auckland-based investigative journalist who has focused since the terrorist attacks of 11 September 2001 on issues and events associated with the so-called “war on terrorism”. This paper takes as its starting point the definition of journalism posited by the noted Israeli reporter Amira Hass – “Our job is to monitor power, and the centers of power”. The writer will argue that, if this “Fourth Estate” definition is accepted, there can be few more important areas of journalism than reporting on conflict, where lives – sometimes thousands, even tens of thousands, of lives – and the fate of nations are at stake. Media coverage of New Zealand’s involvement in the 2001– Afghanistan conflict will be discussed, with particular emphasis on New Zealand Defence Force (NZDF) activities. The writer will argue that, with few exceptions, reporting on what is now this country’s longest war has been seriously deficient. Reasons for the woeful coverage of our commitment to what is arguably the world’s most important conflict will be outlined and analysed, with specific reference to the writer’s on-the-ground experience in Afghanistan and interactions with the NZDF. Arguing that the NZDF has essentially received a “free pass” from media since the Afghanistan war began, the writer will look at the costs of failing to monitor our nation’s involvement in what many regard as an illegal, immoral, and intractable conflict. The paper will conclude with suggestions for improving New Zealand media coverage of the Afghanistan war. UNESCO NZ-supported Pacific media panel: Koroi Hawkins, chief-of-staff of Television One Solomon Islands and a member of the Pacific Freedom Forum and Kalafi Moala, CEO and publisher of Taimi Media Network, vice-president of the Pasifika Media Association and a member of the Tongan Media Council. * Peace journalism: A goal or a dream?